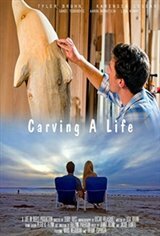 Mitch's is an up and coming woodcarving artist who finds peace in his work. At a small art showing he meets beautiful schoolteacher Lauren, who he falls in love with and marries. Life is on the right track, although we have hints of a troubled past and when Lauren announces she is pregnant Mitch starts to drink - A LOT, and his life begins to spiral downward.